This thread is for discussion! Do not post entries in this thread. Please use this thread to ask questions, discuss the current theme, discuss current entries, or even make some suggestions for the future Texture of the Week competitions! 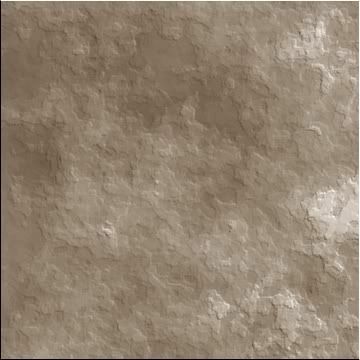 Okay, Texture of the Week 1 is now ready for entries! I have also cleaned up this thread. I just want to make sure I understand. I can make any texture as long as it's a floor? How it will it determined that it's a floor? hey Chrisco..just to clarify for any newbies who may consider entering..
Well, you shouldn't use renders in your textures. To further clarify, for newcomers. Renders as in planetrenders.net, are out. Using Paint.NET Render effects is OK. Same texture, but one is a flat surface that could be almost anything, while the other is rotated and tiled so it appears to be a floor. Note: I have already used these and will not enter them, and I'm not trying to be a jerk. I just want to make sure the rules and guide lines are clear to those who wish to enter. Hey Possum,,the rules state "AS LONG AS YOU CAN STAND ON IT"
I'd like to own the boots that can stand on those spiders! C'mon guys - not all spiders are yukky! I used to have one in my garden that would wash itself in the mist created when I watered the plants near it. I just don't want to share a house with them. I'm selfish. Ok, think we get the idea. Great & thanks for hosting Chrisco! I do not want to share a house with them either, they are creepy. Let us get some more in! OK I think I get the ideas of what we can do. I'll try to get something together. I have some ideas (evil laugh), yes some very good ideas (longer evil laugh). But first, some pizza ! Oh yeh I forgot after reading that. If mine isn't qualified as a floor covering, feel free to discard to the great compost heap in the sky ..
You crack me up, Possum! I like Welshblue's texture for grass. It is really realistic! You know WB, if you changed the color it could be really, really long shag carpet. WOW is that spider a tattoo? thinking of getting a web done on left foot next,,better get a supply of and ready then..